The Keep Our records show that this inn is closed. White House On Jackson Our records show that this inn is closed. Lavender Hill Farm B&B Our records show that this inn is closed. Fassifern B&B Our records show that this inn is closed. Auberge de la Ville Our records show that this inn is closed. Historic Country Inns of Lexington Our records show that this inn is closed. Riders Rest Bed and Breakfast Our records show that this inn is closed. McCampbell Inn Our records show that this inn is closed. Ivy Creek Farm Bed and Breakfast Our records show that this inn is closed. 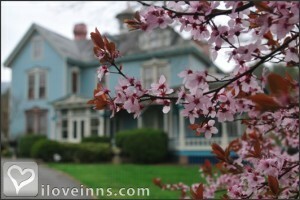 Lexington bed and breakfast travel guide for romantic, historic and adventure b&b's. 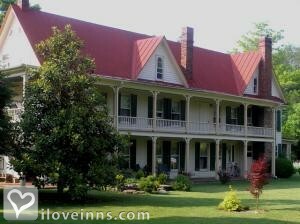 Browse through the iLoveInns.com database of Lexington, Virginia bed and breakfasts and country inns to find detailed listings that include room rates, special deals and area activities. You can click on the 'check rates and availability' button to contact the innkeeper. Lexington is where you can find VMI or Virginia Military Institute and Washington and Lee University. 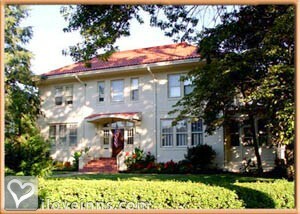 Every year, Lexington is visited by many tourists because of its many attractions, one of which is the accommodating selections of Lexington bed and breakfast inns. Other than that, we have the Stonewall Jackson House, the George C. Marshall Museum, the Virginia Military Institute Museum, the Museum of Military Memorabilia, Lee Chapel, and the historic Lexington downtown area. While in town, you may also be interested in visiting two non-profit theaters, the Hull's Drive In and the Lime Kiln. You can also make a side trip to Cyrus McCormick place, Boxerwood Gradens, the Virginia Natural Bridge, the Virginia Horse Center, and Sam Houston's place of birth.